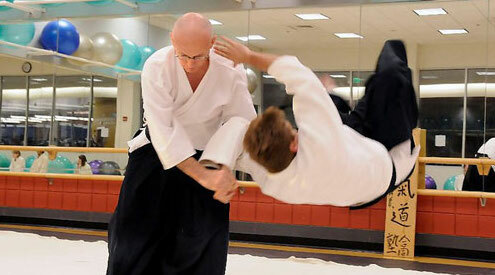 New Study Shows People Who Practice Martial Arts Are Less Likely To Injure Themselves In A Fall! One of the biggest fears many people have is falling. And it’s a sensible fear to have. After all, I’m sure you’ve heard stories of people falling and breaking their arms, collar bones, or worse. I have a good friend, that fell and broke their coccyx, which by her account sounds horrendous. She was in constant pain and she couldn’t sit, lay, or stand comfortably for weeks! However, it turns out (not surprisingly) if you train martial arts you have a far LESS likely to injure yourself from a fall. But as I know journals don’t make the most exciting ready, the important conclusion is this; if you know a martial art, you WILL be safer in a fall. And that’s what matters. Martial Arts training will provide you with so much more than just learning to kick and punch or a great workout. It will help you in every area of your life from helping you to stay safe in a fall to developing self-confidence. Would you like to try out a class for FREE? If the answer is yes, give us a call on 01752 262233 or CLICK HERE and we’ll be happy to get you started.